The only Nobby built by the Limit Motor Boat Co., Barrow in Furness Cumbria. The builders were John Ingram and Fred Rollinson, father of Alex Rollinson, a retired Liverpool river pilot. She was built originally for Jack Mount of Morecambe and launched in 1930. Jack had her for only four years before selling her to Bill Higgins of Heswell in 1934. 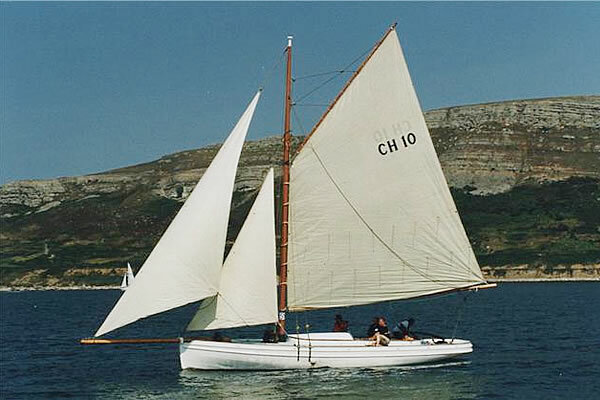 Registered as CH10 [Chester]. Cachalot was handed down through the family until sold to Andy Williams in 1996. A seven-year rebuild followed and she now proves to be a fast sailer. When not ashore, she can be spotted on moorings at Conwy. Used to sit the tide out on Cachalot on the Dee when I was a lad.